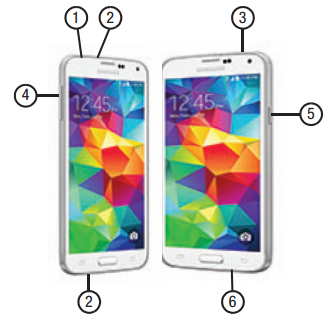 The Samsung Galaxy S 5 Manual also known as the Samsung SM-G900R4 user guide. 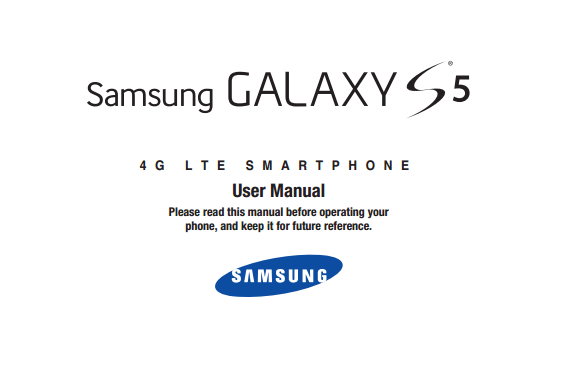 The manual is available on samsung official website or uscellular.com. As usual, for owner of this smartphone don't forget to read this manual instruction because provide many information or tutorial to operate this phone with correctly. The Samsung Galaxy S 5 smartphones comes with main specs and features such as powered by 2.5GHz Quad-Core Processor, 4G LTE Data Capability, it has 5.1" Full HD Super AMOLED with 1080 x 1920 resolution, run on Android 4.4.2, KitKat operting system, equipped with 16 MP rear camera and 2 MP front facing camera, available 16 GB internal Memory, 2GB of RAM, 128GB for external memory, also powered by 2800 mAh Lithium-ion battery capacity. Status Light: Displays red when charging or the battery is low, blue when a notification has arrived or you are voice recording, and green when fully charged. Receiver: Allows you to hear the caller. Gestures Sensor: Used to detect Gesture motions. Proximity and Light Sensors: Uses the ambient light level to make adjustments. If the light path is blocked, for example, when holding the phone close to your ear, the touch screen will turn off. Front Facing Camera: Used to take pictures while facing the screen and allows you to video conference. Indicator Icons: Shows the information needed to operate your phone, such as the received signal strength, phone battery level, time, unread Emails, missed calls, and so on. Widgets: Self-contained onscreen applications (not shortcuts). These can be placed onto any of the available screens (Home or extended). Google Quick Search Widget: Lets you search for items on the Internet. For more information, refer to “Google Search widget” on page 23. Application Icons: Shortcuts to your favorite applications on the Home screen. Home Screen Indicator: Indicates which Home screen is presently displayed. Primary Shortcuts: Allows quick access to important features such as Phone, Contacts, Messages, Internet, and Apps. Recent Key: Displays a list of recently opened apps and provides access to the Task Manager. External speaker: Allows you to hear ringers, music, and other sounds offered by your phone. Flash: Used to take photos in low-light conditions. Camera lens: Used to take photos. Heart Rate Sensor: When using the S Health app, this sensor measures your heart rate via your fingertip. For information on the S Health app, see “S Health” on page 195. Temperature and Humidty sensor allows your device to read both temperature and humidity conditions. This is useful to calculate calories burned within S Health. IR Transmitter used to emit infrared signals used for controlling external devices. For more information, refer to “Smart Remote” on page 198. 2.Microphones: Used during phone calls and allow other callers to hear you clearly when you are speaking to them. There are two microphones on the device: Bottom microphone: used during handset mode, Top microphone: used while an active call is in the speakerphone mode and assists in noise cancellation (2 microphone solution). 3.5mm Headset jack: Used to plug in headphones. Volume key: Used to adjust the ringer volume in standby mode (with the phone open) or adjust the voice volume during a call. When receiving an incoming call: Pressing the volume key down mutes the ring tone. USB Power/Accessory connector: Used to connect a power cable or optional accessories such as a USB/ data cable. 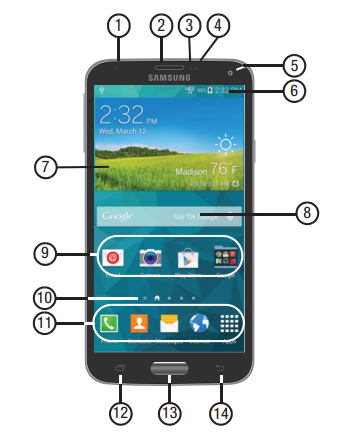 The Samsung Galaxy S 5 user manual contains 215. It's devided into 9 sections. This manual provide detail reference information such as setting up phone, locking and unlocking guide, configuring phone, tutorial creating a Samsung Account, setting up voice mail, phone layout with menu and key functions, using home screen, using Google voice typing, using calls and messages, using contacts, phone settings guide like wi-fi settings, bluetooth settings, tethering and wi-fi hostspot, using NFC, printing guide, display and sound settings, lock screen settings, toolbox, finger scanner, back up and reset, Factory Data Reset, safety, power saving mode, and more. Other important information about using apps like amazon, chaton, using camera, chrome, gameloft, using Google+, internet, maps, mobile tv, play books, play games, play store, polaris office 5, samsung apps, smart remote, slacker, youtube, etc. 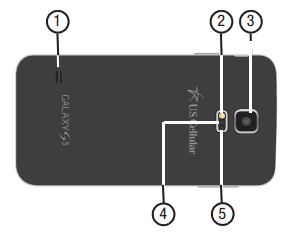 For Samsung Galaxy S 5 Troubleshooting Guide you can read here (include: hardware, connectivity, device settings, kies, applications, photo and video, software, content transfer, samsung services, cloud storage, and multimedia troubleshooting).